Our Logic Smoke Lemon e cigarette liquid is just the flavor your looking for if you are in search of something fruity and tart. It is a light flavor with a bit of a tang on the exhale. Vape it by itself or add some Blackberry or Green Tea E-liquid to give you a wonderful vaping experience. 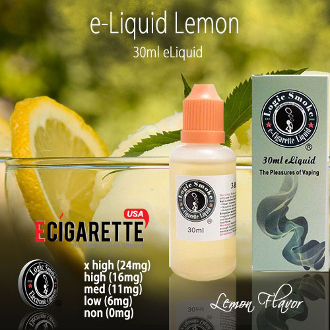 Pick up a bottle of our Lemon E-liquid from Logic Smoke and enjoy. Experiment and decide what is best for you. You'll love the tangy flavor of the Logic Smoke Lemon E-liquid. Happy vaping! !